The 2018 Nobel Prize in Physiology or Medicine has been jointly awarded to a pair of immunologists for devising an effective new class of cancer therapy that unshackles the body’s immune system. Congratulations to James P. Allison, professor at the University of Texas MD Anderson Cancer Center, and Tasuku Honjo, professor at Kyoto University in Japan, for winning this year’s Nobel Prize in Medicine, and for collecting the $1 million that comes with the award. The researchers, who worked independently of one another, were honored for their pioneering research into “immune checkpoint therapy,” a new approach that leverages the body’s immune system to fight cancer. Allison and Honjo studied proteins that prevent the body’s primary immune cells, known as T-cells, from attacking tumor cells. Their work, which dates back to the 1990s in both cases, has translated to therapies that are used today to treat an assortment of different cancers, often with very positive results. Our immune system goes into action when it detects foreign substances, such as viruses, bacteria, and other threats. A special type of white blood cell, called T-cells, are a key component of this system. T-cells are able to latch onto these foreign substances, which in turn triggers a wide-scale immune response. Various messenger proteins are also involved in this process, some serving as accelerators, boosting the immune response even further, and some serving as brakes, preventing an exaggerated autoimmune response that could result in the destruction of healthy tissues and cells. Cancer poses a serious challenge to the immune system, which isn’t always able to identify tumors as being a substance worthy of an attack. This is where the work of Allison and Honjo comes in. In the 1990s, while working at the University of California, Berkeley, Allison studied a known T-cell protein called CTLA-4. This protein hits the brakes on the immune response, otherwise known as negative immune regulation. Allison developed an antibody that releases this brake, allowing the immune system to do its work against cancer cells. Lab work on mice progressed to human patients, leading to remarkably effective treatments for advanced melanoma, a type of skin cancer, by 2010. Honjo’s work in the 1990s was quite similar, but he focused on PD-1, another protein that influences the action of T-cells. By 2012, therapies built around the suppression of this protein resulted in effective treatments for several different types of cancer. Long-term remission and outright elimination of cancer were documented in several patients with metastatic cancer, a condition previously considered untreatable. Unfortunately, checkpoint therapies are known to produce adverse side effects, which are caused by the overactive immune response and subsequent autoimmune reactions. Thankfully, these side effects are manageable, and research is ongoing to reduce them even further. Of the two approaches, PD-1 appears to be more robust, with positive results seen in treatments of lung cancer, renal cancer, lymphoma, and melanoma. Smartly, combination therapies involving both PD-1 and CTLA-4 also have been developed. What’s more, the pioneering work done by Allison and Honjo has inspired the next generation of immunologists, who are seeking new ways of leveraging the body’s immune system to fight cancer. 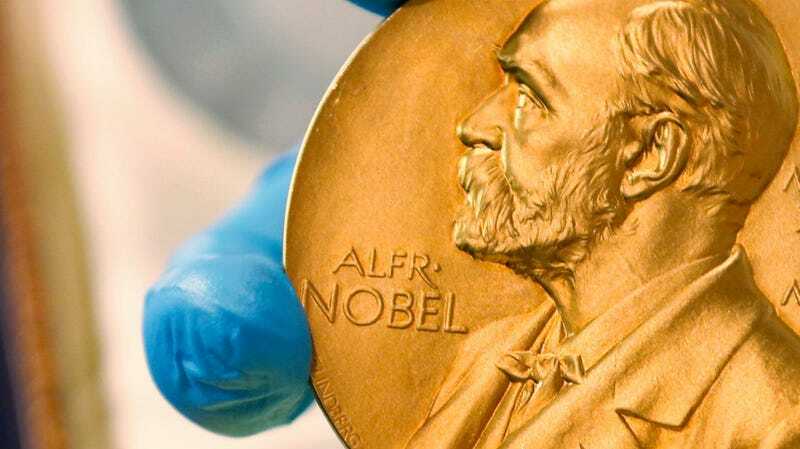 Medicine is the first of the Nobel Prizes to be announced, with physics to be announced Tuesday, chemistry on Wednesday, the Peace Prize on Friday, and economics next Monday. There will be no literature prize awarded this year due to a sexual misconduct scandal involving the awarding body.